The most enthralling monsoon season is here and it is way more than an excuse to shop up a storm. 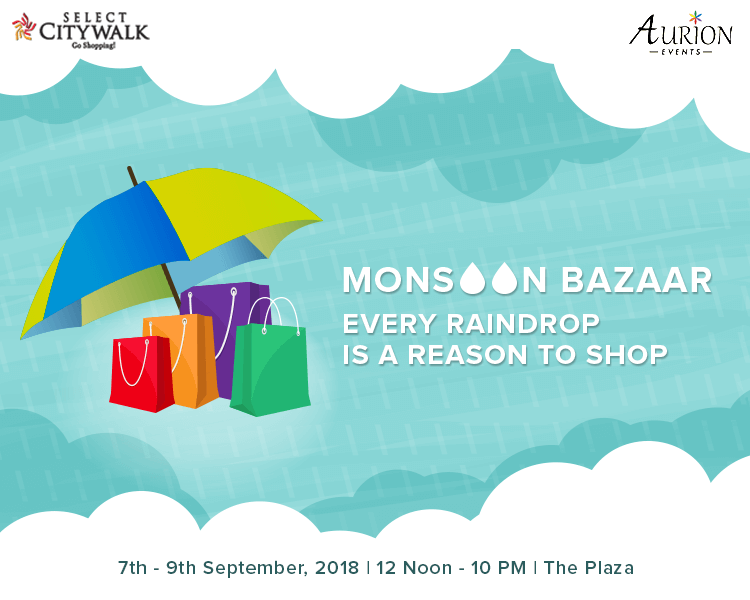 Bring out your colorful gears and start frolicking in the much awaited Monsoon Bazaar, which is happening from 7th-10th September at The Plaza, Select CITYWALK. From home décor and apparels to furnishings, go berserk amidst the pitter-patter of raindrops.